Asbestos is a proven carcinogen and banned in many countries. The establishment in India too has expressed its concern over the manufacture and use of the mineral. Yet, new asbestos plants are being sanctioned. ECO visits Bhojpur in Bihar, where three new asbestos plants have come up. Villagers of Bihar s Bhojpur are up in protest. They want the three new asbestos plants in their neighbourhood to shut down. They do not want the health hazards that exposure to asbestos entails as all forms of asbestos are proven carcinogens. But then, perhaps these villagers are not as aware as the state government and asbestos companies. "Human biology is the same everywhere. How can a chemical be deemed poisonous in one district and non-poisonous in another district of the same state," the Bhojpur protestors are asking. They are emboldened by the fact that a similar 'death factory' was recently forced to shut shop in nearby Muzaffarpur district. 2011 will be remembered for a successful villagers' struggle against an asbestos plant in Chainpur-Bishunpur in Muzaffarpur district that led to its closure. Earlier, Kerala Human Rights Commission had banned the use of asbestos roofs in schools and hospitals in me state and the National Human Rights Commission had issued notices to central ministries, states and union territories seeking a report on asbestos related incurable diseases and on why asbestos should not be banned. In a letter to Bihar Chief MinisterNitish Kumar, the villagers of Bhojpur have complained against the hazardous factories in their proximity that manufacture chrysotile white asbestos-cement products. Two of these plants have been set up in Bihiya in Bhojpur by Tamil Nadu based Ramco Industries Ltd. The third has been set up at Giddha in Koilwar Block by another Tamil Nadu company Nibhi Industries Pvt Ltd.
Asbestos is a naturally occurring silicate mineral and has thin fibrous crystals. The world s largest asbestos mine is located in the town of Asbestos, Quebec, Canada, where it s mining first began. 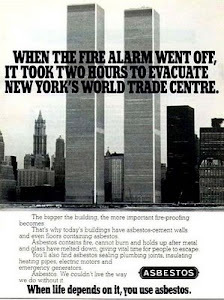 Asbestos became increasingly popular among manufacturers and builders for its sound absorption properties, tensile strength and resistance to fire, heat, electrical and chemical damage. It was extensively used for electrical insulation, mixed with cement or woven into fabric or mats. That is, till its health implications came to light. Inhalation of asbestos fibres can cause serious illnesses including malignant lung cancer or mesothelioma and asbestosis, a chronic lung disease. Yet, a 120,000 MT/Annum capacity Asbestos Cement Sheet Plant and a 200,000 MT/Annum capacity Asbestos Grinding Plant have been set up in Bihiya. The project was allotted 20 acres by the state government on lease for 90 years. In Giddha village, the 100,000 MT Capacity Asbestos Fibre Cement Corrugated Sheet, Flat Sheet, Accessories and Light Weight Fly Ash Block Plant acquired 15 acres. This land allotment is part of the scam that has tainted Bihar Industrial Area Development Authority (BIADA). It has emerged that Bihar's Environment Minister and Deputy Chief Minister Sushil Kumar Modi allotted the land for the four asbestos plants. The All India Students Association, Paryavaran Swasthya Suraksha Samiti and Asbestos Virodhi Nagrik Morcha are campaigning against these plants. Questions have been raised against these plants in Bihar Vidhan Sabha and even inParliament, but the state government remains unmoved. Asbestos, banned in many countries, is still used widely across India and is part of a Rs 4,000 crore industry dominated by a score of companies who justify the use of asbestos as affordable roofing and claim that chrysotile asbestos can be safely manufactured and used without risks. These companies claim that the kind of asbestos used in India is not carcinogenic. 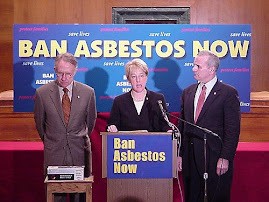 Globally, asbestos industry is on trial since the 1920s. So far 55 countries, including the European Union, have banned asbestos. In 2005, WHO and ILO passed a resolution seeking elimination of future use of chrysotile white asbestos. A 2010 report of the International Agency for Research on Cancer said, "Epidemiological evidence has increasingly shown an association of all forms of asbestos with an increased risk of lung cancer and mesothelioma" and that an estimated 125 million people are still exposed to it. Here to attend the International Conference on "Emerging Trends in Preventing Occupational Respiratory Diseases and Cancers in Workplace," experts have warned India of the dangers of continuing with asbestos. 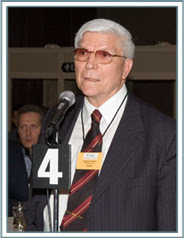 "No matter what misinformation comes from Canada or the Indian asbestos industry, there is no doubt that chrysotile causes asbestosis and lung cancer," said Prof Arthur L Frank, Department of Environmental and Occupational Health, Drexel University School of Public Health, the USA. Dr Alec Farquhar, Managing Director, Occupational Health Clinics for Ontario Workers, Canada, said, "We now have around 500 asbestos cancer cases every year in Ontario. If you (India) continue on your current path, you will multiply our death count by 100 times. That is 50,000 Indian workers dying every year from asbestos." Experts and activists are exhorting the Commerce Ministry to desist from signing the "Comprehensive Economic Partnership Agreement" with Canada that allows import of Canadian asbestos to India. Incidentally, work is on to decontaminate the offices and homes of members of the Canadian House of Commons which have asbestos. 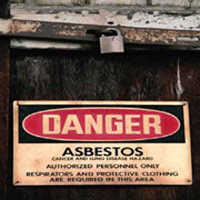 The government has stated publicly that it does not favour new asbestosplants in the country any more. 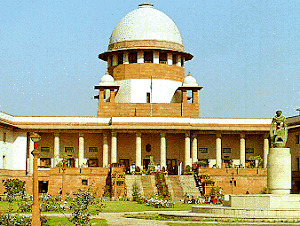 "The Government of India is considering the ban on use of chrysotile asbestos in India to protect workers and the general population against primary and secondary exposure," a concept paper by the Ministry of Labour said in September 2011. The Environment Ministry s Vision Statement on Environment and Human Health said, "Alternatives to asbestos may be used to the extent possible and use of asbestos may be phased out." The Ministry of Chemicals urged the government to disassociate itself from countries like Russia and Canada who derailed the international consensus thatcould have categorised chrysotile asbestos as a hazardous substance. Experts also suggest a compensation fund for asbestos victims that makes asbestos companies liable for knowingly exposing workers, consumers and citizens to asbestos fibres. but Hyderabad Industry Ltd of the C K Birla Group has not closed its asbestos mines at Roro village at Chaibasa, West Singhbhum, Jharkhand, 30 years after the mines where shut down the mines. Thekiller dust remains air borne and continues to take its toll. Is there any legal relief for victims of white asbestos and the victims of abandoned asbestos mines in India? 'Asbestos affectees are expecting that the government will take radical measures to phase out use, trade and manufacture of white asbestos in the country. The upcoming budget will reveal how sensitive the Government is towards addressing this environmental and occupational health crisis. Sanity demands that there be a moratorium on asbestos based hazardous industries. Gopal Krishna is convenor, ToxicsWatch Alliance and a public policy analyst.